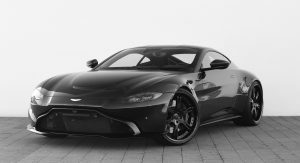 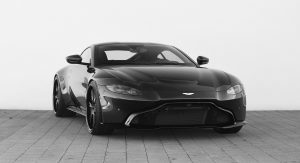 German tuning specialist Wheelsandmore can turn your new Aston Martin Vantage into a near-700hp beast with its latest ‘Stage Three’ upgrade kit. 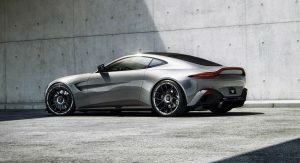 This upgrade will boost the baby Aston’s output from 503hp (510PS) and 505lb-ft (685Nm) of torque to 671hp (680PS) and 605lb-ft (820Nm), making the new Vantage almost as powerful as the much more expensive DBS Superleggera. 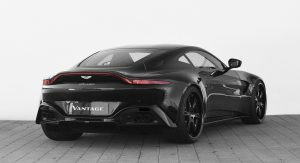 The tuner reckons their tuned Vantage is capable of a 0-62mph (100km/h) sprint in 3.3 seconds and a 205mph (330km/h) top speed. 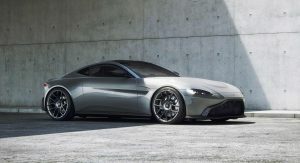 One of the perks of having a proven engine, such as AMG’s M177 twin-turbo 4.0-liter V8,under the bonnet of the new Vantage is that there’s more than plenty of aftermarket upgrades available to those wishing a bit more grunt from their British sports car. 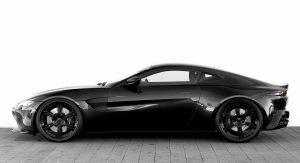 Wheelsandmore takes advantage of its experience with this specific engine from the tuning kits for the Mercedes-AMG C63 and Mercedes-AMG GT models. 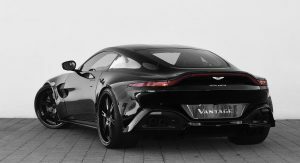 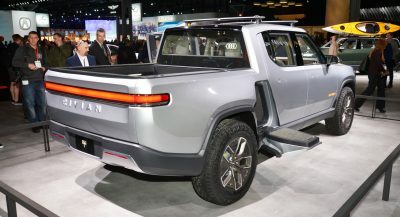 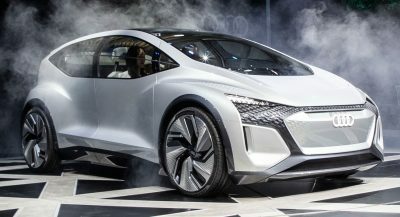 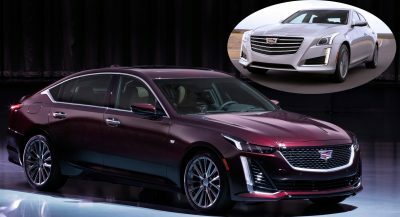 The ‘Stage Three’ kit includes bigger turbochargers, a freer-flowing exhaust system with different catalytic converters and a software upgrade. 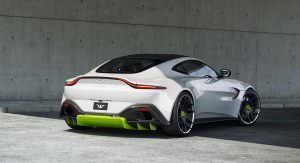 For new Vantage owners who’d like more power than stock but would rather not go all the way to 671 HP, Wheelsandmore is also offering a ‘Stage One’ chip tuning kit that’s still good enough for 581hp (590PS) and a ‘Stage Two’ kit that combines a software upgrade with modest performance hardware for a 617hp (626PS) output. 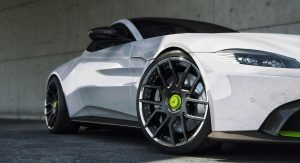 I don’t care for the rims but this car does look good. 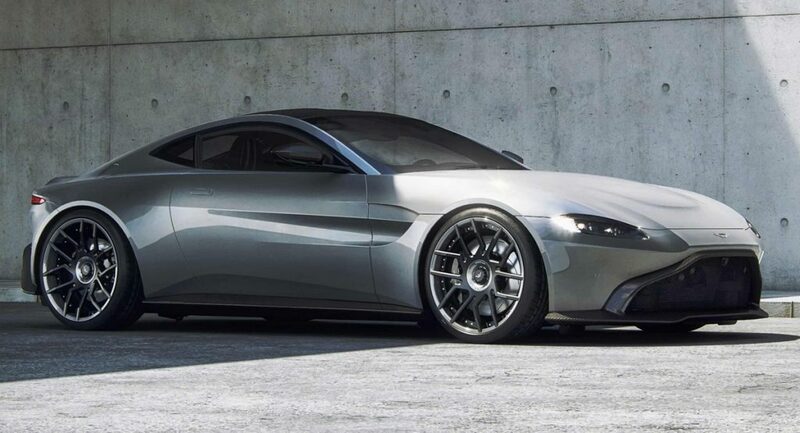 Even though I love the front end of the Vantage I am shocked I haven’t seen any front end body kit changes to it.